L'entrecote's Famous Duck Confit is Back! 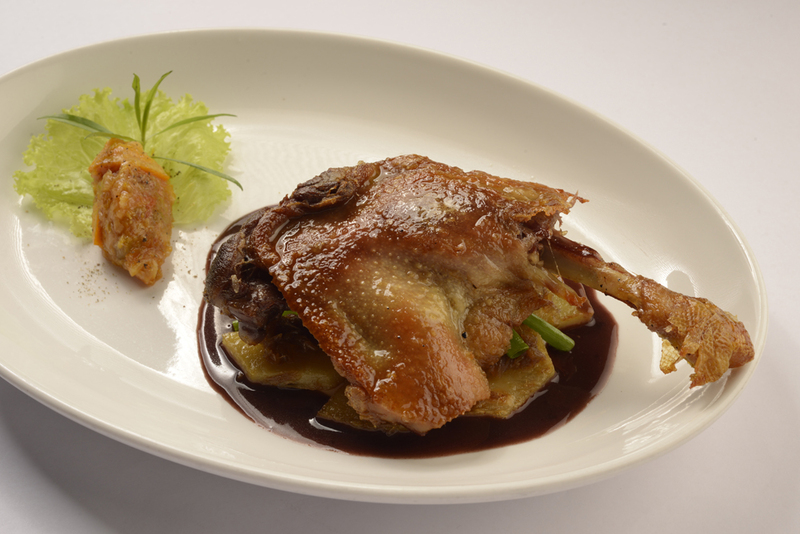 L'entrecote's famous classic French dish, Duck Confit is back due to popular demand. The Crispy French Duch Leg Confit on Roasted Boulangere Potatoes with Orange Chutney is 300 grams of imported French Duck Leg salt-cured and cooked in its own fat. The process of cooking the duck results in a melt-in-your mouth, fall-off-the-bone tender, and moist meat that is mouthwateringly delish! It comes with a dash of Espelette and is served on roasted potatoes with caramelized onions and complimented with orange chutney. The dish is priced at P940. You may also try other choices from l’entrecote’s menu like the Original Swiss Cheese Fondue, Adlez Nicoise Salad with either grilled salmon or chicken breast, St. Tropez Pasta with seafood tossed in olive oil or Ticini Risotto with mushrooms, cheese and truffle oil. Savor everything with a glass of Chateau Cap de Fer 2012, a beautiful Superior Bordeaux Wine from France. Before you call it a night, share an Eiffel Tower, a tall serving of meringue and ice cream layers sprinkled with almond flakes and drizzled with a rich chocolate sauce. For reservations, call l’entrecôte at telephone numbers 856-4858 & 836-2764. You can also visit www.lentrecotemanila.com for more information.